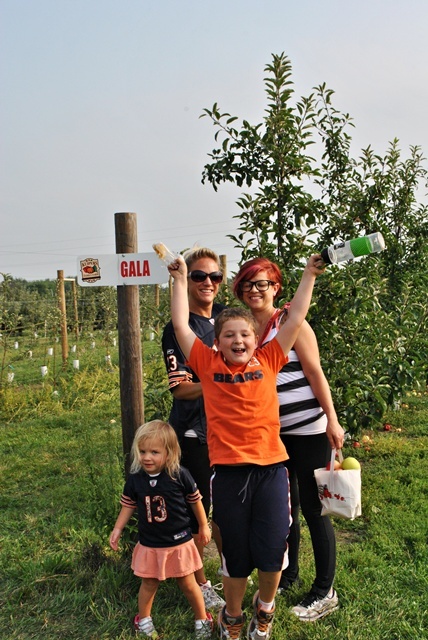 A slight chill in the air and the turning of leaves into riotous colors means it’s time to take the family out for some apple picking in Illinois! 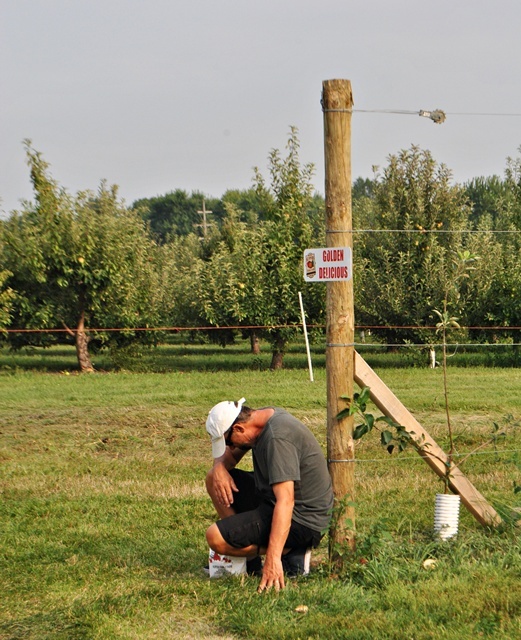 Several farms in the area are dotted with red and golden apples weighing heavily on trees lined in neat little orchard rows. 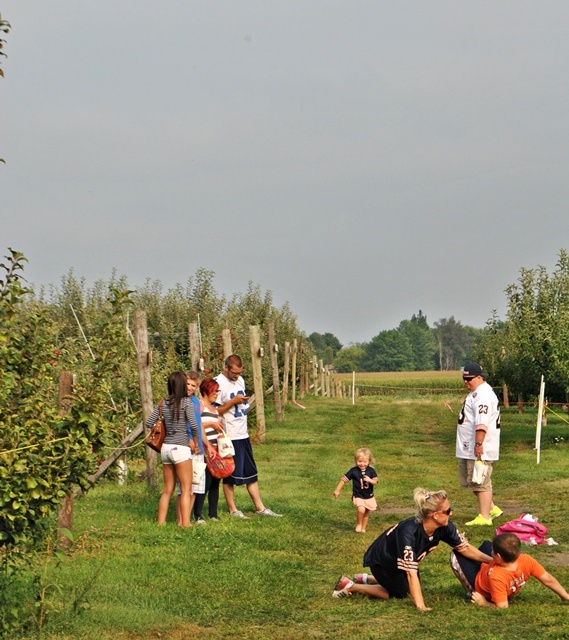 One such orchard is just 5 miles from my house and a recent family gathering ended in a trip to Kuiper’s Family Farm. You can see by all the cars that this place is hopping! 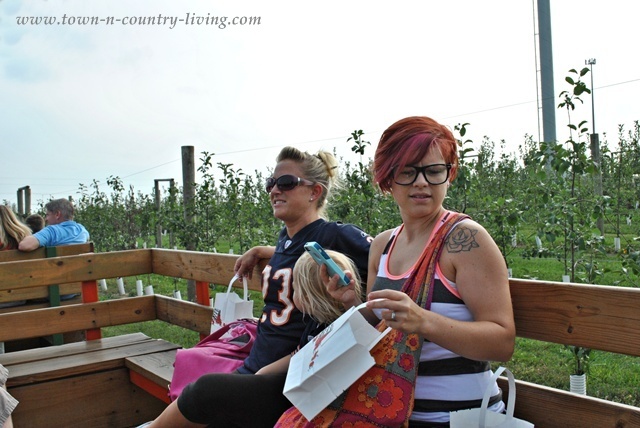 Every October people swarm to this country farm to enjoy apple picking in Illinois. Kuiper’s has a bakery with a variety of fresh baked donuts. 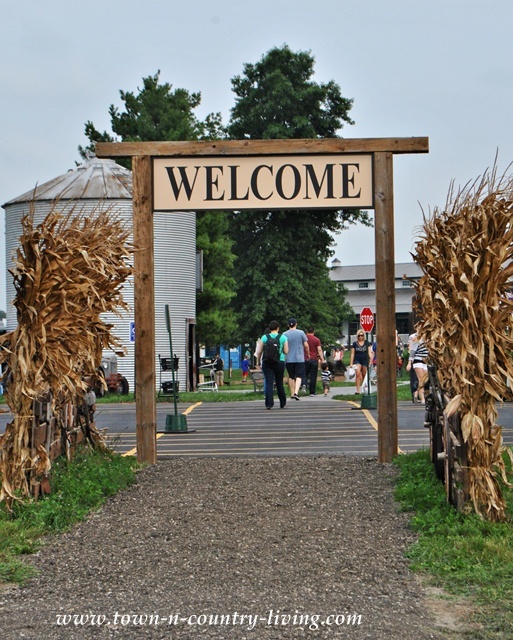 Pumpkins and a corn maze are added attractions. 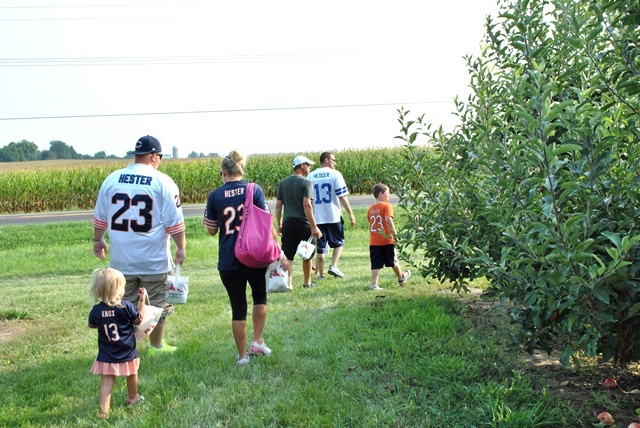 A recent Sunday after the Bears football game found my entire family heading toward the orchard to pick apples. A farm tractor takes apple pickers to the orchard in a caravan of wooden wagons. My daughter Stephanie is on the left while daughter Bridget is on the right. My granddaughter Zoe is wedged between the two of them. The country is beautiful out here, with slightly rolling hills. 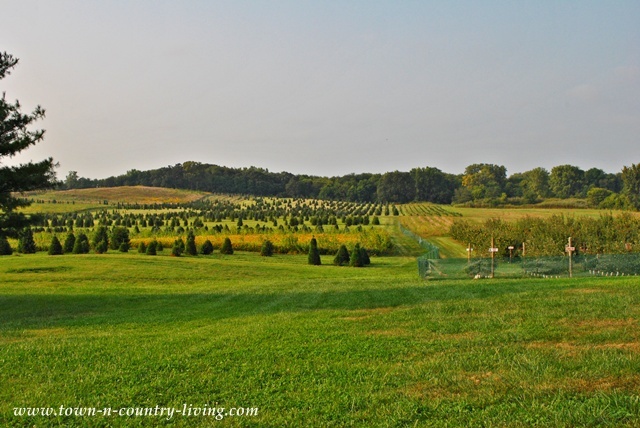 Christmas trees mingle with apple trees. Most of the apples you pick straight off the trees, but some are in crates. Little Zoe decided to eat her first apple fetched out of the crate. 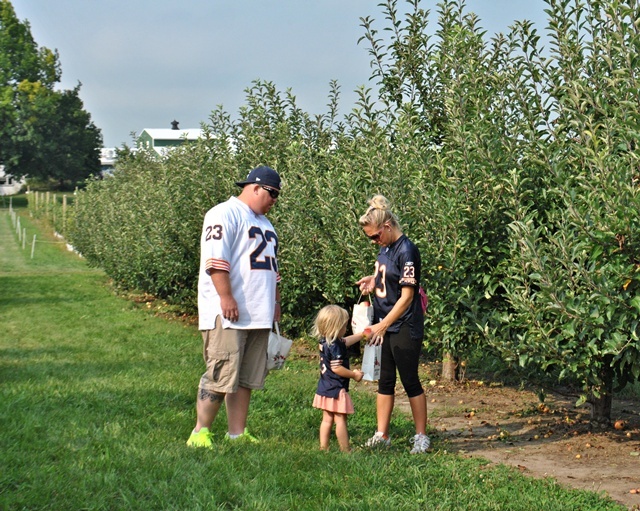 Mom and Dad help her find ripe apples off the tree. Can you tell they’re die-hard Bears fans? 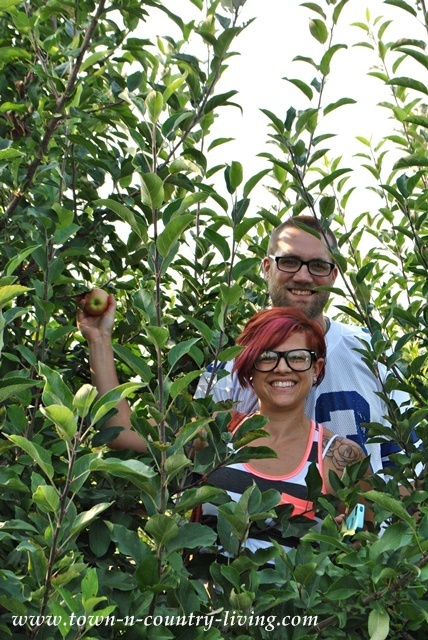 Daughter Bridget and her hubby Zac get caught between the Gala apple trees. You can get lost in the rows and rows of apple trees. My grandson Aiden decided to steal the show in this photo opp. His mother informed me that they did indeed, eat all 3 bags of apples they took home. 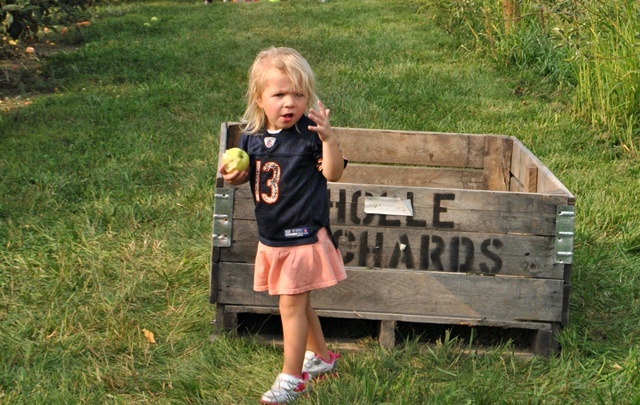 I think apple picking in Illinois is a great experience for the kids. Each week different apples are available for picking. 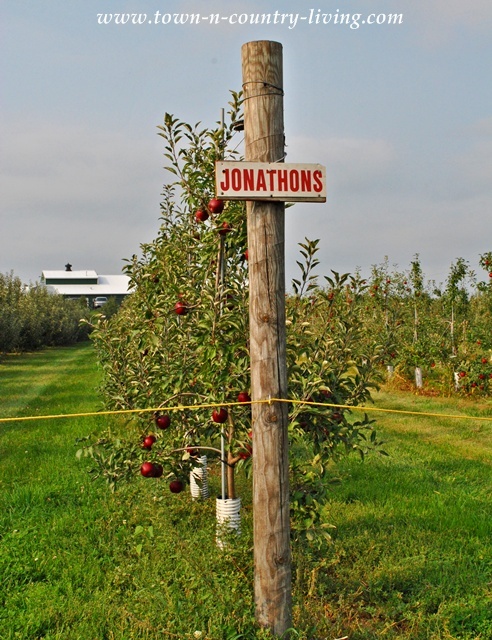 The Jonathons weren’t quite ready yet so we came home with mostly Gala and Golden Delicious apples. My favorite apples are Honeycrisp, followed closely by Gala and Pink Ladies. My son Cory and his girlfriend Amy seemed to enjoy the day. I treasure every minute that I spend with my children and their significant others. I can’t think of a better way to spend the day. An impromptu wrestling match broke out while waiting for the tractor and wagons to pick us up. I think we wore my hubby out. Shhhh. Don’t tell him I posted this picture! This little fella at the farm was quite the ham. 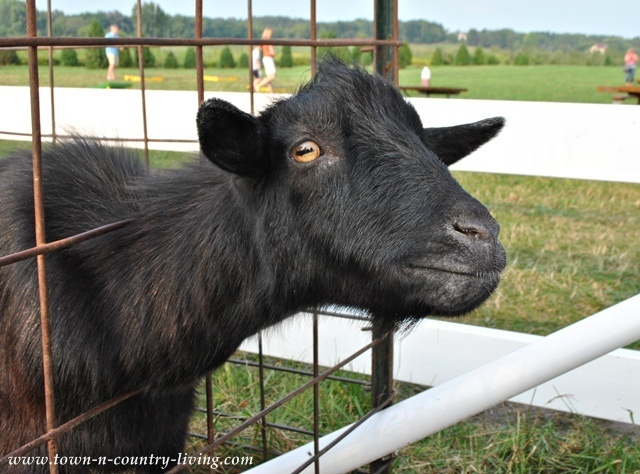 I just love goats! 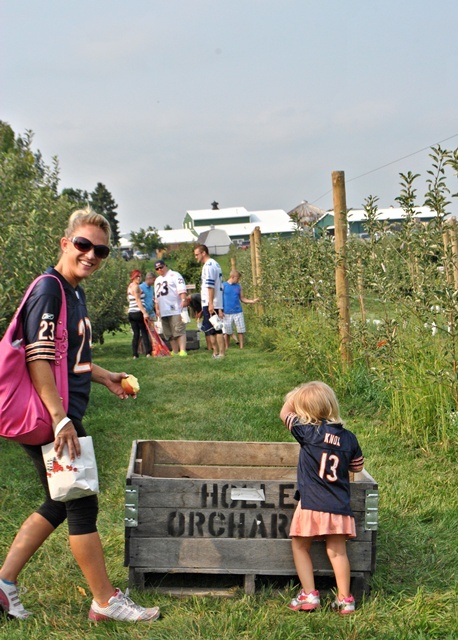 At the end of the day, a good time was had by all while apple picking in Illinois. So tell me … what’s your favorite apple? Looks like the perfect fall family outing. We are headed to Royal Oak Orchard in Harvard, IL on Friday! I hope the weather is friendly! It is so much fun! Honey crisp apples are my all time favorite….juicy, crisp and oh so sweet. Enjoyed the tour and loved the family photo ops…! I had not heard of this one and it is a bit farther than we would go but seems like a good place. We usually have gone to Heinz in Green Oaks, IL (in Lake county). Great pictures and die-hard fans is right. At least Chicago isn’t embarrassing like the NY Jets. We are very frustrated fans! Thanks for sharing this family fun with us. Such a lovely post Jennifer and what a beautiful family you have. The photos are gorgeous and capture the happiness of such a lovely day. 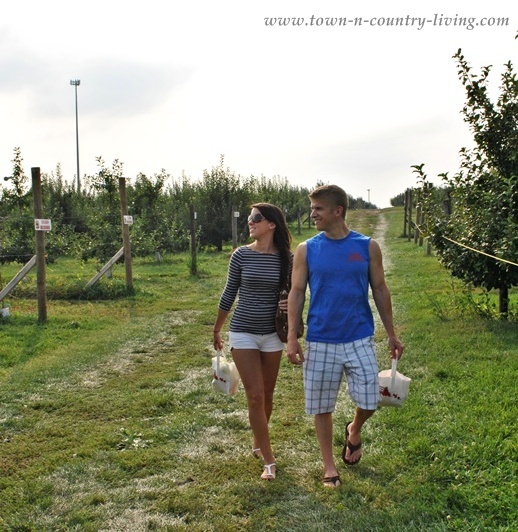 How exciting to be able to pick your own apples at an apple farm….. can’t get any fresher than that! Looks like a fun day Jennifer! Hmmm my favorite….it always changes LOL! We have not been apple picking this year.I have been picking them up at our farmers market.A local farmer sells organic. Great photos of your family. 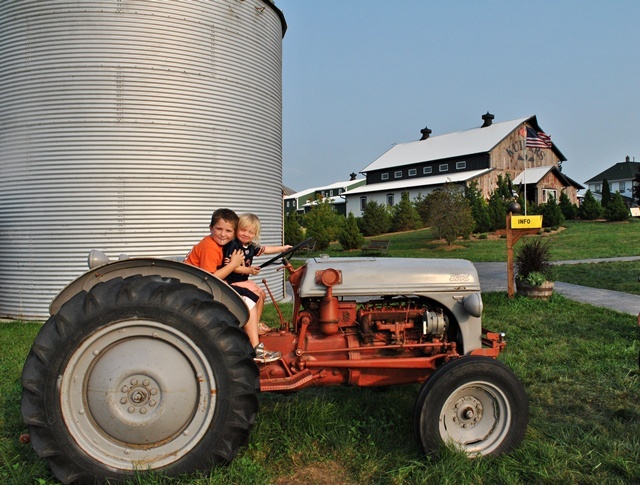 Thanks so much for choosing our farm to make your wonderful family memories at!